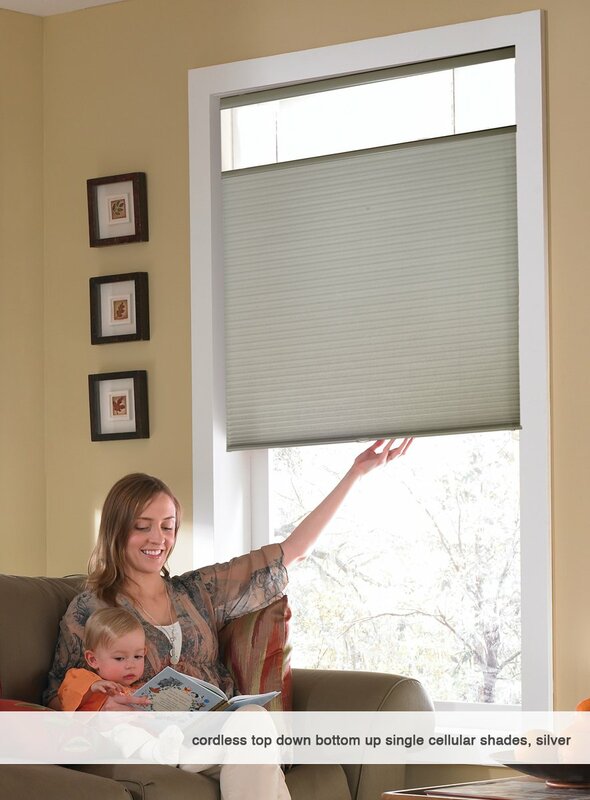 Top Down-Bottom Up Cordless Honeycomb Cellular shades are amongst the most popular & modern window coverings. 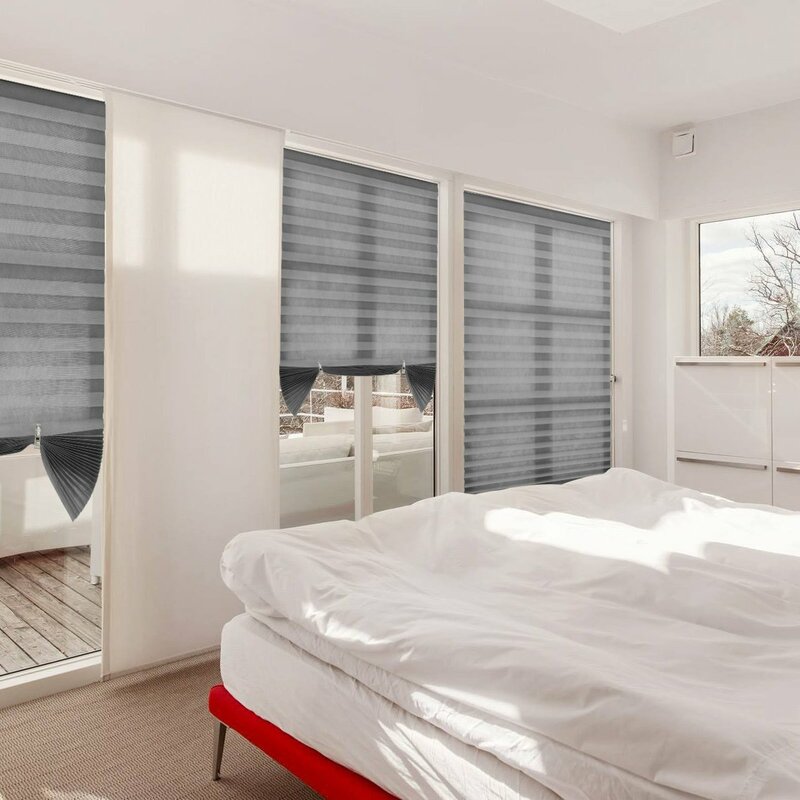 These shades are perfect for bedrooms, bathrooms, and other rooms where privacy is essential. The shades can be opened from the top to let in natural light, while still covering most of the window to ensure your privacy. They offer versatility and a beautiful, crisp design. The soft, durable honeycomb pleated cells insulate the room all year long. 100% Polyester and so many Colors available to choose from them. For an inside mount, just give us the exact measurements of the opening rounding down to the nearest 1/8th and we will take any deduction needed to fit that space. SHIP in 3-5 days but we have the shipping set out because occasionally customers need to remeasure. You will see a number of different widths and heights in the drop down for each product. For an OUTSIDE the window frame mount we take no deductions. These Top Down Bottom UP Cordless cell shades are energy efficient and CHILD SAFE. They are Light Filtering and completely private. Don’t see what you are looking for? Need more customization? Message us and we can go over your specific needs. Free color samples available upon request. Ships in 3-5 days. Minimum depth for an inside mount is 1 3/8″ Here are Amazon links for the 41 to 62 wide shades. 7 inch valance and side returns included along with all mounting hardware for inside or outside mounting. Roman style bamboo shade gently filters light; This is not a privacy shade. Mounting hardware included for inside and outside mounting; Lift cords are on the right side. For inside mount, please order a shade that is at least 1/4 inch smaller than the width of your window or else it will rub against the sides. The new and innovative cordless top down bottom up shade is available in 9 trendy colors. 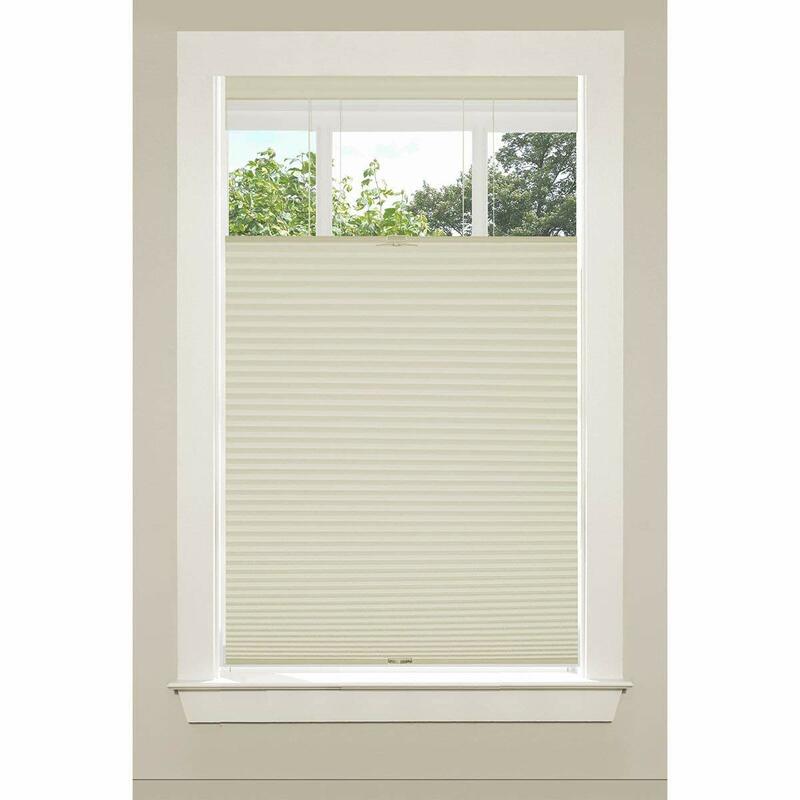 This inexpensive cell shade is made standard with the two most popular options in cellular shades. Cordless option provides an easy and effortless way of raising and lowering the shade. Cordless shades are also child safe as there are no hanging cords. The top down bottom up option provides a way to raise the shade from the bottom up, the traditional way. But it also allows for the shade to be lowered from the top down to allow light in while keeping privacy. These two options have been combined into one shade at a great price. As with all of our products, we offer a lifetime warranty. Ships in 3-5 days. This serves the purpose of allowing the room to be dimly lit instead of completely blocking out the light.The sheer and opaque fabrics are placed alternatively, so sheer on sheer fabric allows visibility of light and opaque on sheer fabric blocks the light. The fabric’s material and weaving method are different. The Price varies depending on the style and the fabric selected. Compared to other products that are woven with basic single fabric, the materials we use convey a more sophisticated because it is fabric woven with various color threads of similar tone. The fabric used is made in Korea. 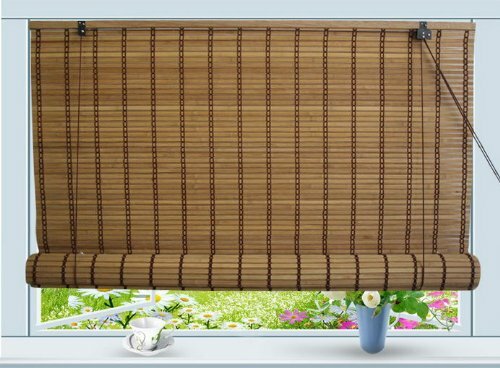 These are versatile blinds that can be easily rolled up to have clear view outside.The fabric is washable and can be easily maintained for year. 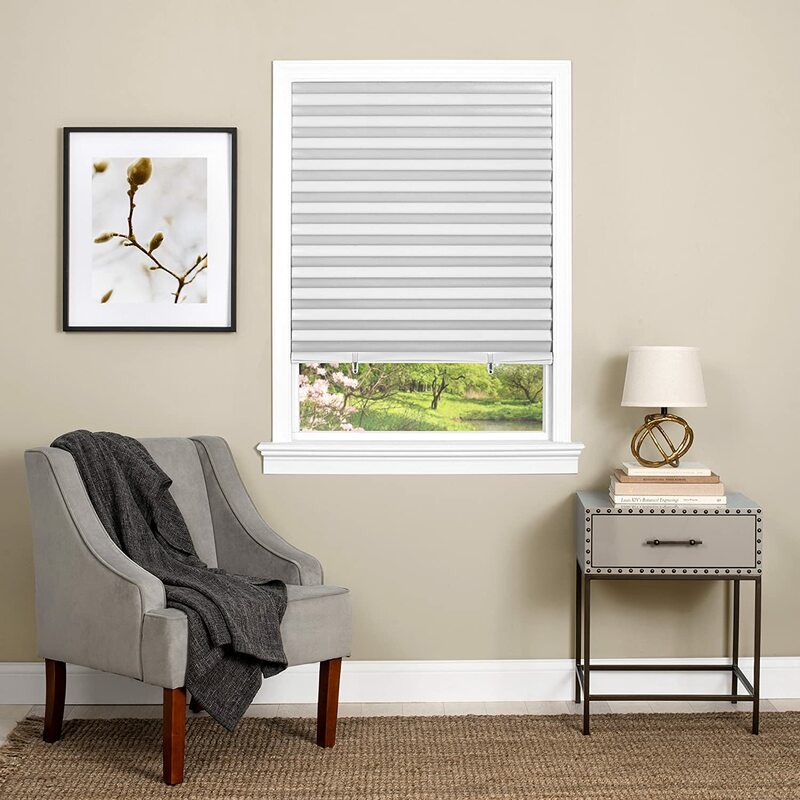 The cordless 1-2-3 peel ‘n stick room darkening vinyl shade is designed for those who want a quick and easy solution to their window covering needs. 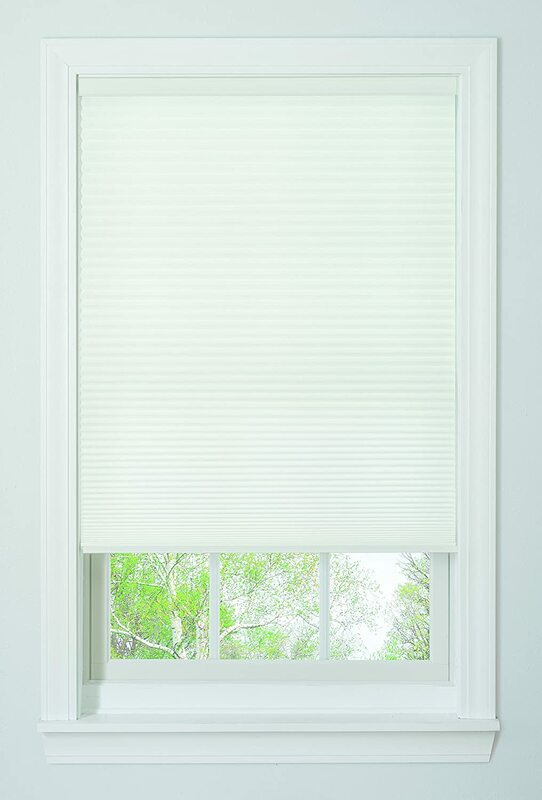 The cordless shade is an easy, pleated, peel and stick alternative to a traditional window shade. setup is simple as 1, 2, 3: 1. Size it perfectly for your window by trimming down to any width with a utility knife. 2. Installs quickly without the use of any tools; simply peel and stick. 3. Adjust the shades position by using the included clips to gather or release the pleats. each shade is made of durable, textured vinyl with a PVC bottom rail that prevents sagging. Shade width can be trimmed down to any size; length of shade is 75 inches. Easy to clean too: simply wipe or dust with a cloth. These Light Filtering Shades create privacy, block out harmful UV rays and provide proper light. Colors Available are:- Beige, Black, Brown, Grey and also White. Pleated fabric shade is completely cordless and therefore making this an ideal choice for homes with children or pets. Pleated temporary blinds can be cut with scissor or knife to adjust to most windows. Easy to cut to size, install in a second without tools, only peel the adhesive off and stick on your window frame. 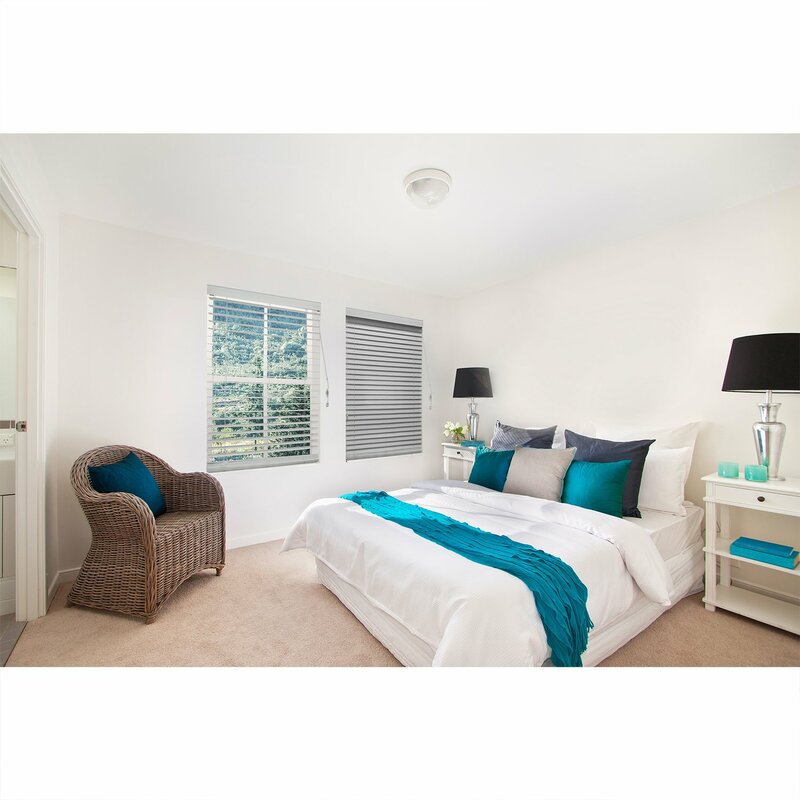 Perfect room darkening window covering solution for: Home, Bedroom, Kitchen, Kids Rooms and Living Rooms. 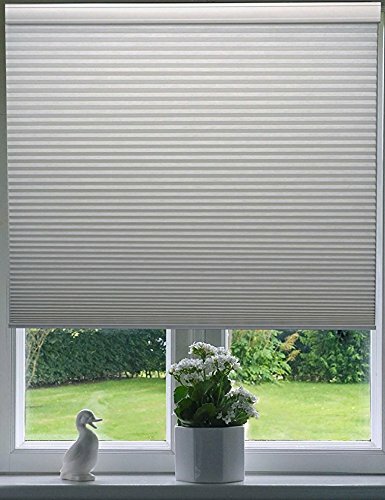 BOBOTOGO 3 Pack Light Filtering Pleated Fabric Shade, Room Darkening Temporary Pleated Shades and Blinds for Window, Gray, 36 inch x 72 inch. 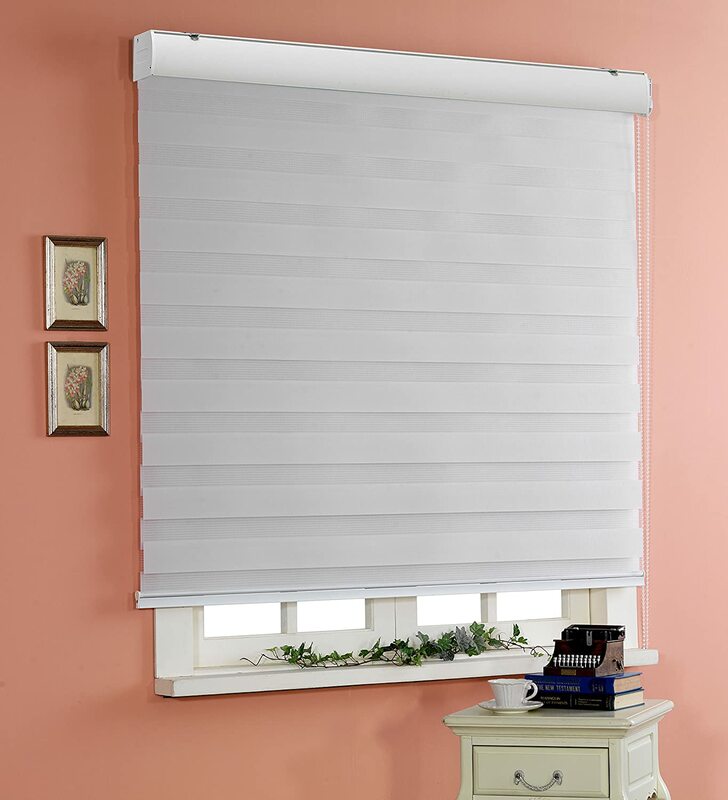 Our 9/16″ Single Cell Blackout Cordless Cellular Shades blinds are the perfect choice if safety or ease of use are a primary concern. 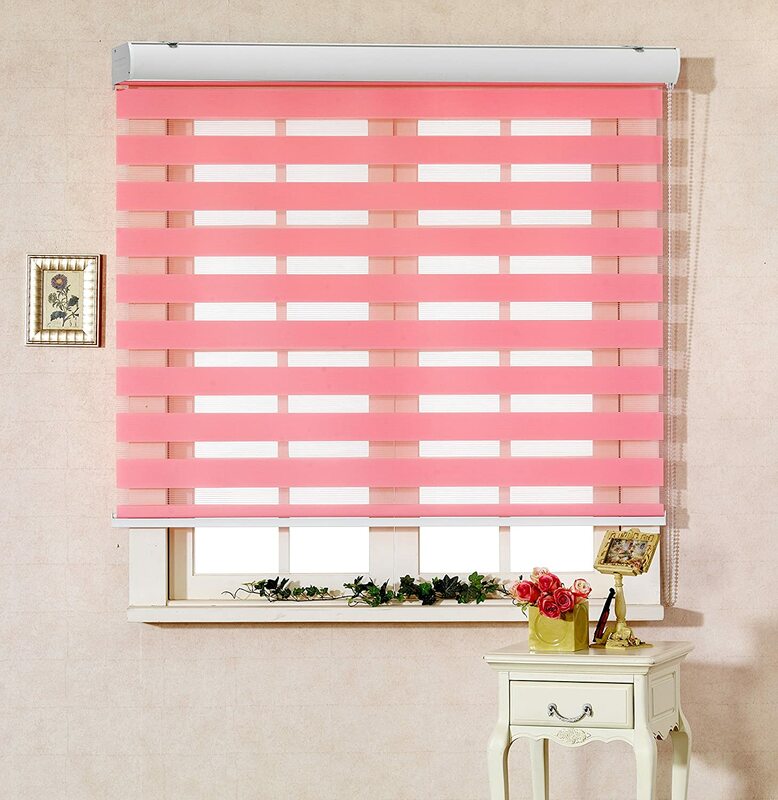 Because there are no cords on these shades, they are an excellent choice if you have children in the home. Moreover, they offer excellent insulation problems and the block out the light. 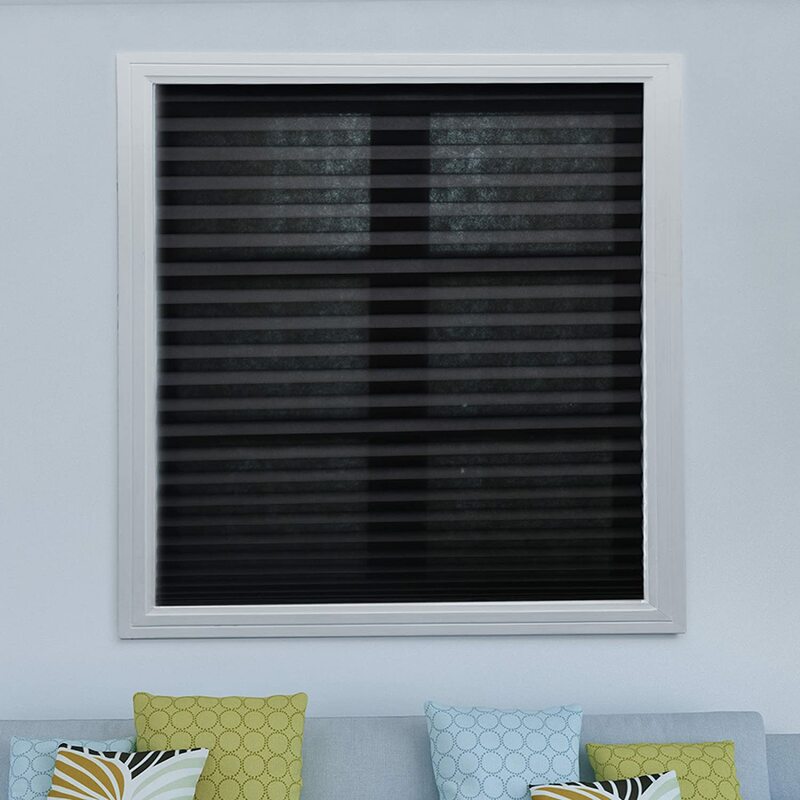 These are a wonderful choice for a bedroom, bathroom, TV room or anywhere where you want to blockout the light, which of course saves on summer heating bills. This shade is a great insulator in the winter too, as its honeycombs trap cold air. Smooth tones for a calming ambience provided by Chicology popular faux wood blinds. Chicology simply pewter faux wood blinds are perfect in tone to complement your house with a light pastel color. 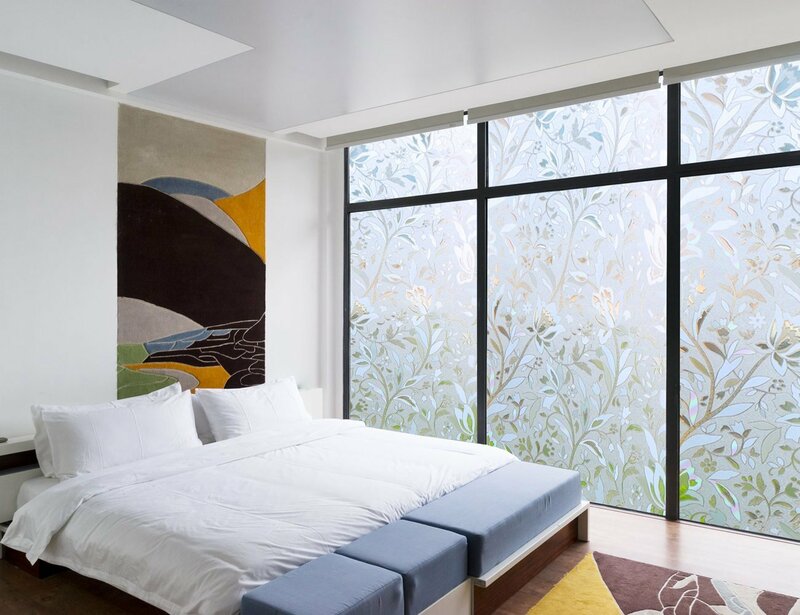 ★Decorative Window Film:Hibiscus style design, modern and chic, creates the visual effect and sparkle of textured glass. ★Privacy Window Cling:Keep out unwanted looks and add some privacy, while let light in. ★Anti UV And Energy Saving:High-quality window film can block out 99% ultraviolet rays,glares and energy saving,keep heat in winter and keep it out in summer. ★Easy To Install:Static cling, no glue, applies to any smooth glass surface in minutes.Leave no residue after removal. Can even be used for times. 1.The shades create instant privacy, softly filters light and blocks sunlight and UV rays. 2.Quick Fix and Easy to Install,no holes,no hassle.No need for any bolts,screws or screwdrivers to install. 4.Made by Fabrics,Environmentally friendly.Easy to clean,not wrinkled easily like paper. 5.Perfect for Bedroom, Kitchen, Living Room, Nursery, Daytime Sleepers, Media Room etc. 1.Measure your window width to ensure accuracy. 2.Tirm for the perfect fit inside or outside your window frame. 3.Peel the double tape backing from the blind and stick to the window frame, glass or wall. 4.Adjust the height with clips to raise and lower shades. Keep the daytime view and privacy in your arch windows while saving on energy costs with the new no tools installation Original Arch Sheer View Shade. Designed for perfect half -rounded arch shaped windows, this shade is made from UV blocking solar fabric that cuts harsh sunlight and glare while reducing heat and harmful UV rays.